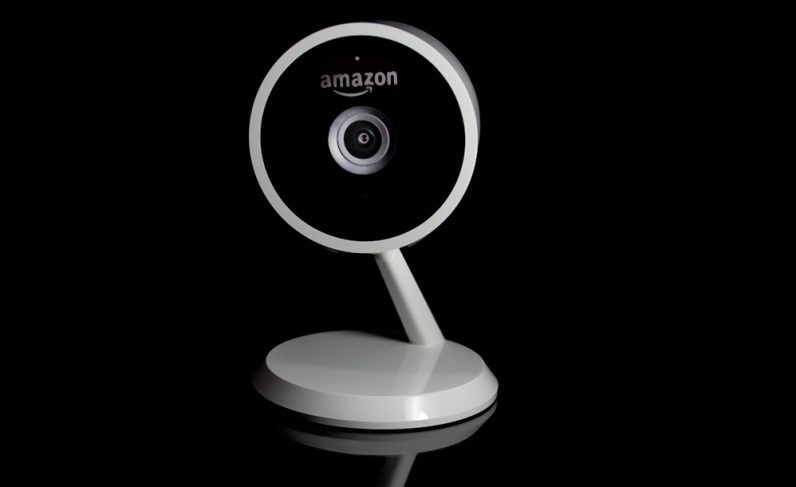 Amazon is today releasing its much anticipated indoor security camera. The company’s Cloud Cam is a fancy little Alexa-connected gadget that does so much more than just watch for prowlers. I tried it out for a week and the biggest problem I had was realizing I needed one in almost every room. Cloud Cam features a 1080p image, 24/7 monitoring and notifications, night vision, motion-detection, and voice control via Alexa. It also has a speaker and microphone which make it a handy intercom. It’s a feature-packed camera that’s been designed to integrate seamlessly into your smart home. Cloud Cam images can be pulled up on any iOS, Fire tablet, and Android devices. Video can also be streamed directly to Fire TV stick or Echo device with a screen (such as the Echo Show). The 1080p video feed is fantastic. I was not only impressed with the quality of the image, but the lag was barely noticeable. I’m the type of person who spends the majority of my time away from home wondering if I’ve left the coffee pot on, even if I didn’t make coffee that morning. Being able to whip open the app, turn the camera on remotely, and confirm my house isn’t burning down whenever I see a fire truck pass me on the street has given me a refreshing new sense of freedom. As a father, I’m extremely appreciative of the night vision functionality. Thanks to eight LED infrared lights the Cloud Cam can see in the dark. This makes it especially useful as baby monitor. The motion-sensing on the camera is excellent and can be set to detect human-sized objects at five, 10, or 20 feet. It’ll ignore your cat, but alert you via the Cloud Cam app if the neighbor’s kid wanders into your apartment. In my time with the cam it worked perfectly. After installing the app and pairing the camera I was able to set up WiFi and immediately use it. The interface is simple and there’s really no learning curve. Cloud Cam made my smart home even more useful. Saying “Alexa show bedroom” would cause my Echo dot to pause the Amazon Prime TV show playing on my FireTV and display the camera’s feed on my television, complete with audio. The sound quality wasn’t fantastic, and the built-in speaker isn’t all that great either – you won’t want to hear someone singing karaoke through it — but it’s good enough to tell your to dog get out of the trash, or remind your teenager it’s time for bed, without leaving the comfort of yours. It doesn’t have a zoom mode, but the image it produces is of high enough quality that having the “pinch and zoom” option built into the app is useful, especially for viewing on a smartphone instead of a tablet or TV. I’m torn when it comes to the Cloud Cam’s overall design and style. On the one hand, it’s small, unobtrusive, and built to blend in. On the other, it reminds me of something Apple would have made five or six years ago – maybe that’s just me. I wish it came in a color other than white, but again, that’s a matter of opinion. It looks fine, really, and thankfully it has an LED indicator to let you know whether it’s on or not. In fact you can even set up zones which allow you to choose areas that Cloud Cam will ignore, like a television or spinning mobile above your baby’s crib. I really like the Cloud Cam and I didn’t think I would. When I first heard about it I had to wonder what it was going to end up doing better than all the other cameras on the market. I was pleasantly surprised to see how it fit into my life – and didn’t even get to check out it’s Amazon Key integration that lets delivery drivers enter your home to drop off packages while you’re away. For me, it’s a window into another room or a reassuring glance at what’s going on while I’m away. It’s also a pretty amazing baby monitor that can send me an alert when my baby stands up in his crib after a nap. What makes Cloud Cam different is all of the above mentioned features have been implemented in a device that’s as easy to set up and use as a smart speaker. You don’t need geeks with drills to come in and install your new security system, just a smartphone. The Cloud Cam is a welcome addition to any Alexa-powered smart home. I’m quite convinced it’s one of the best family gadgets of 2017 and with a price tag of only $119, it’s worth purchasing a few. Alexa, show me peace of mind. You can get yours here on Amazon.com for $119.